Teens are influenced every day by their peers. In fact, every time your tween or teen spends time with their peers, they are being influenced. Even though they may not realize it, just by spending time together they are learning from one another. Sometimes peer influences can be positive like encouraging each other to try new things or step out of their comfort zone in a positive way. But peer pressure also can be negative, especially when it relates to drugs, alcohol use, and even bullying. Peer pressure is pressure from others to conform to the behaviors, attitudes and personal habits of a group or clique. Sometimes kids within a clique will pressure other kids to participate in bullying. This bullying can include everything from leaving mean notes and name-calling to sabotaging another person’s relationship with gossip, lies, and rumors. In fact, a lot of relational aggression and cyberbullying involves peer pressure. Other times, tweens and teens will feel an internal pressure to do things they think their peers are doing. For instance, some kids will participate in sexting because they think everyone else is doing it too. In other words, peer pressure causes kids to do things they would not otherwise do with the hope of fitting in or getting attention. When it comes to bullying, pressures to bully others often start with a pack mentality and are particularly prevalent online. Many times, kids will pressure or encourage others to cyberbully. This can include pressures to participate in everything from online hate lists to mean social media posts. Typically, when kids give in to peer pressure it is because they want to be liked or fit in. They fear that if they do not go along with the group or clique, then other kids might make fun of them. As a result, bullying sometimes is an act of self-preservation. Kids are afraid if they do not exclude others, participate in gossip, spread rumors and make fun of others, then they too will be ostracized or tormented by bullies. 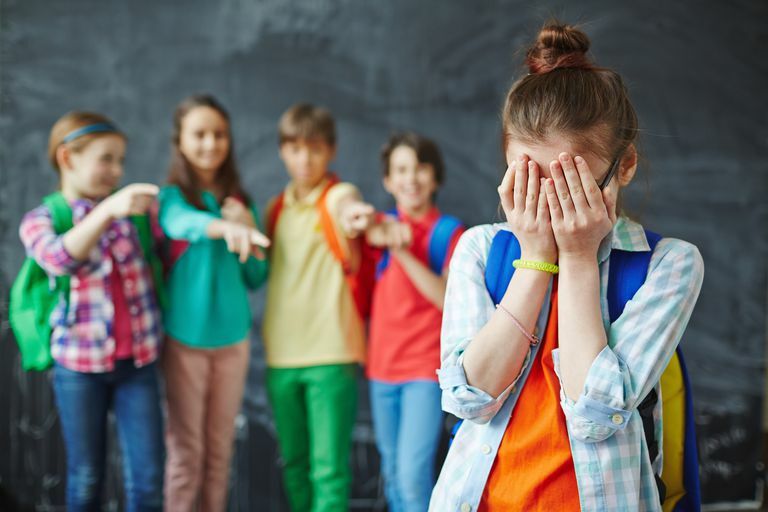 Additionally, some kids accept the idea that "everyone’s doing it" and often mistakenly feel less responsibility for bullying when it is done as a group. With this type of pack mentality, kids often leave their better judgment and common sense behind. As a result, they do not feel as much remorse as they would otherwise. When it comes to peer pressure, parents often feel like they are fighting a losing battle. But in reality, parents have much more influence than they realize. Although tweens and teens are pulling away at this age and trying to assert their independence, they still very much need their parents. So don't miss the opportunity to step in. Talk to your kids. Try to understand the pressures they are experiencing. Ask them about the pressures they feel to engage in relational aggression, cyberbullying and other forms of bullying. The more you can connect with your kids about bullying, the more you will be able to have a positive influence. Give your kids ideas on how to respond to peer pressure. And be sure they are equipped with a solid self-esteem, assertiveness skills, and social skills. These traits help kids respond to peer pressure in a positive way. Also, establish rules and consequences when it comes to bullying and then follow through. If you have a policy of not bullying others and you find out your child is a bully—even if he was pressured into it—you have to follow through with disciplinary actions. If you don’t, your child will assume that the rules do not apply or are not a big deal. As a result, the bullying may escalate to the point that it gets out of control or seriously harms another person. Remember, looking the other way only harms your child in the end. Understand that no matter how well you parent, your tween or teen will mess up from time to time. Instead of yelling or criticizing, help them take responsibility for their actions. For instance, if they were rude to another person, have them apologize. Or if they covered a locker with hurtful graffiti, have them clean it. The point is to make sure they make amends for the bullying. Also, resist the urge to label your child a bully. Instead, encourage him to stop bullying and focus on being kind, empathetic and respectful. This may take time, but with your help, your child can learn how to make better decisions even when experiencing peer pressure. "How Does Peer Pressure Impact Bullying Behavior?" Pacer's National Bullying Prevention Center, 2018.